Determine what you want to do with your windows. Not replacing the main windows any time soon? Then storm windows make great sense but if you plan to replace primary windows before the season is out then storm windows may be too much trouble. Trying to save money or improve comfort? They will improve comfort in almost any case but it may take more than one or two seasons to get a payback. Must they be sliding or can they be fixed? Fixed is easier, and more efficient, but sliding has obvious benefits. Interior or exterior? Interior (indoors instead of outdoors) is something you can do at home. Leave the exterior versions to the pro's - there is a lot less margin for error with exterior windows. Measure the area. Building your own frames and fixed glazing from scratch will be more rewarding and slightly cheaper than a kit (which is readily available from any Big Box) but the measurements have got to be precise. First measure horizontally (left to right) at three points from inside casing to inside casing: bottom, middle and top. Measure to within 1/8". Use the narrowest of the three measurements as the width. Now measure three points vertically (top to bottom). The narrowest of these three is the height. Deduct 1/4" from the width and 1/4" from the hieght which will give you 1/8" beathing space on either side - these are your final measuremants. Always present measurements width x height (width first). Pick up materials. Your local hardware store should be able to cut the Plexiglas to your exact measurements. Also purchase the required wood and screws (always add 10% for wastage). Cut and install frame. Cut bottom 1x2 to fit on window sill. Install level and straight using wood glue and a water level. You can shim it if you want but it doesn't have to be perfect. Now cut the "jambs" (the legs that go up either side of the window frame). Leave an inch at the top of either jamb to allow for the header section. Don't install the jambs until your header is cut to size. Test the jambs and measure and cut the header section. Now install jambs and then header using wood glue. Install the window glazing (the pane). Firmly attach the window Plexiglas to the window frame using screws, with a rubber washer and a metal washer on top of that. Space screws every 12" or so. Seal the new storm window. Using white, paintable, water soluble, non-shrinking caulk lay a bead around the entire frame where it intersects with the casing as well as where the window meets the frame or casing. Gently tool it into place. Trim the new window. Attach some simple trim of your choice so that it just hides the screws and window / casing intersection. Paint. Prime and paint the trim and casing as needed to match your décor. If you use care when measuring, cutting and installing you will end up with a nice looking window that wont make you feel shut off from the world. If you are doing more than one window then do each one at a time, start to finish (except, maybe, painting - the last step). You will perfect your technique and speed up as you go along. You may want to remove the windows in the off season. You will still want to seal the storm window frame to your basic window casing with caulk but dont caulk the glazing to anything: put a 1/8" weather striping around the inside rim of the window before attaching with screws. When spring arrives you can just unscrew the storm window and store it away for next year. Always be aware that your house is a system. 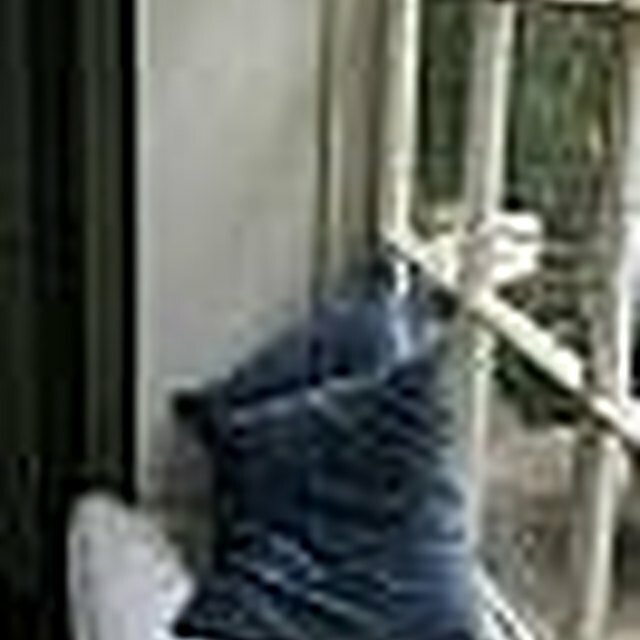 Stoping airflow through the windows may improve the draft but harm indoor air quality.